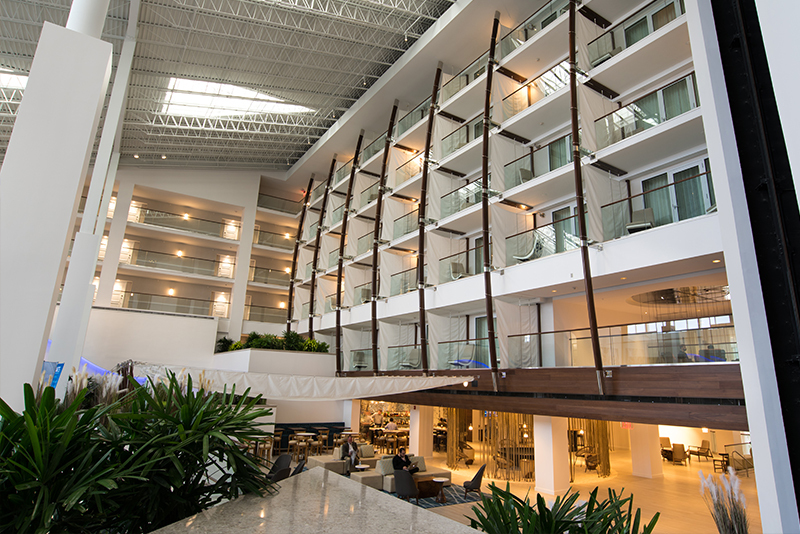 Project Overview: Marriot in Newport, RI – Interbuild Inc.
Well this was a fun one. 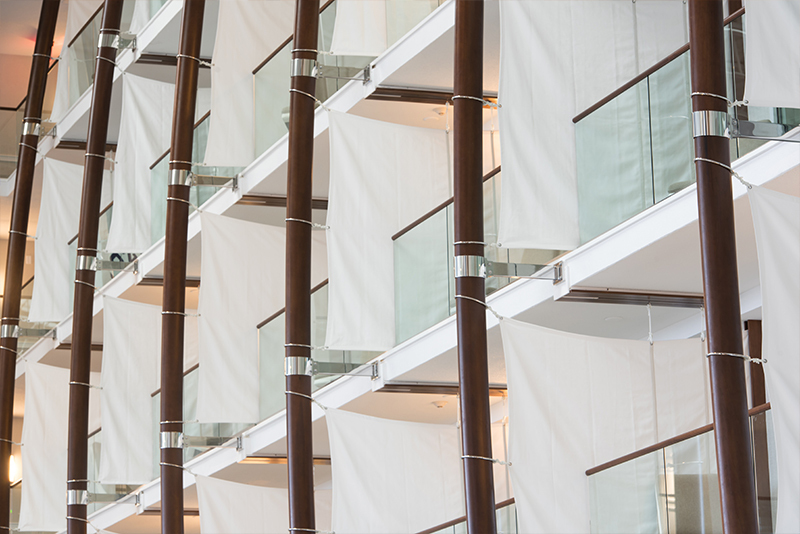 We never thought we’d be building boats, but the Marriot in Newport is a unique place and this was a unique job. 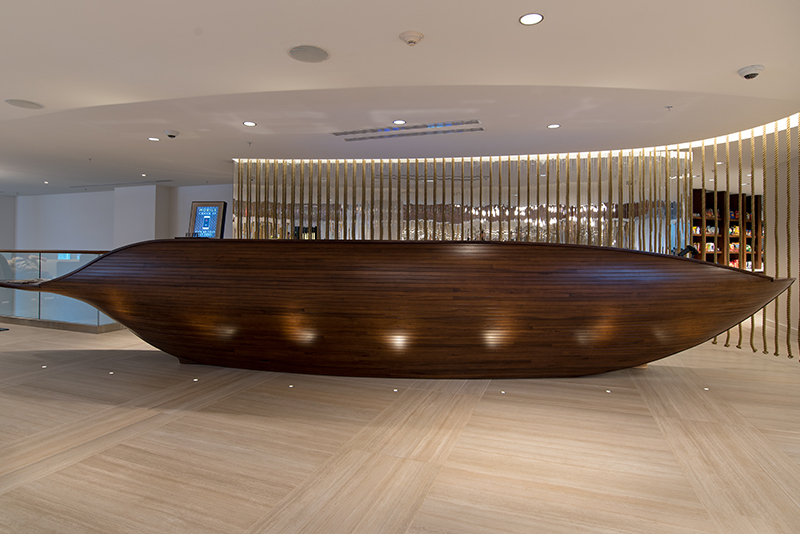 First, we built the coolest reception desk ever. Yes, it’s a boat. A lot of time and attention to detail went into piecing this beauty together. 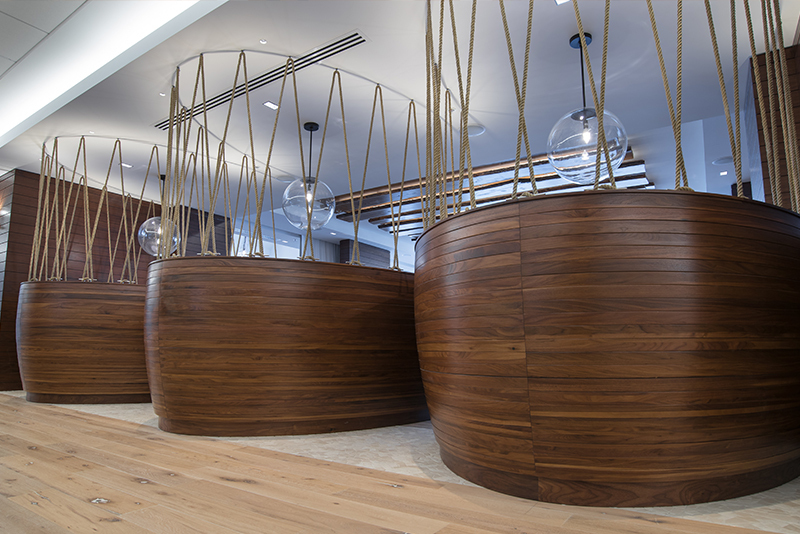 Next, get a look at the wooden “masts” in the atrium and the crazy rope ceiling in the bar. Truly a one of a kind design, these masts were really challenging as we had to come up with a system to lift them, finish them, and secure them all at once. So we basically built an indoor boat. Our friends at Jutras Woodworking were great to work with on this challenging yet extremely rewarding project.